Can Dental Implants Restore Your Smile? When you have lost your teeth, you may feel like everyone is noticing the gaps in your smile. It can make you feel self-conscious about laughing and smiling, affecting your self-esteem. Worse still, you may develop difficulty eating properly or speaking clearly. Patients often consider dentures for tooth loss but in reality, dentures can be unstable and uncomfortable because they are held in place with temporary adhesives. There is, however, a permanent solution to tooth loss: dental implants. Tooth loss can be the result of extractions, severe periodontal disease, bone loss, osteoporosis, resorption, decay, or injury. While your smile is meant to last a lifetime, for many, it does not. When correcting tooth loss, you should replace your permanent teeth with a permanent dental implant to ensure that you get the highest standard of care. Each individual implant is created to replicate the appearance and function of your natural tooth. Implants are beautiful and natural-looking and never need to be removed. 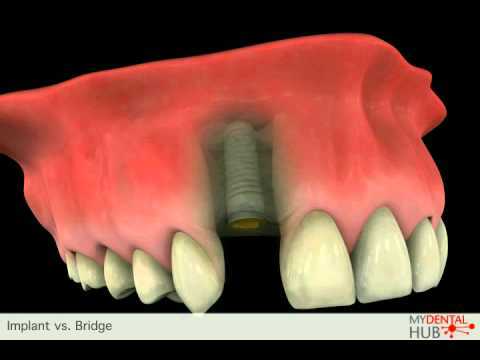 If you have suffered full tooth loss, implant supported dentures can be an excellent solution. A prosthetic anchored by implants, they offer the permanence and stability of an implant when individual implants are not desired. Ready to Discuss Your Dental Implants Options with Dr. Schmidt? Dr. Schmidt has a certificate in prosthodontics and is an experienced doctor. She has had advanced training in dental implants and can provide you with the highest standard of care. For dental implants and implant supported dentures, you may want the assurance of a pain-free visit with sedation dentistry. Dr. Schmidt works with an anesthesiologist to provide this service to ensure that you have the best possible experience while transforming your smile.